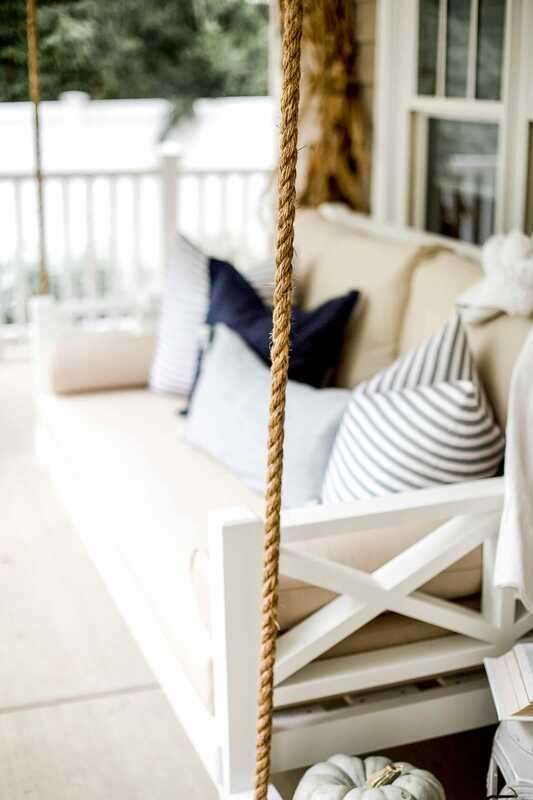 You might remember the post we did earlier this summer Get the Look: Porch Swings. 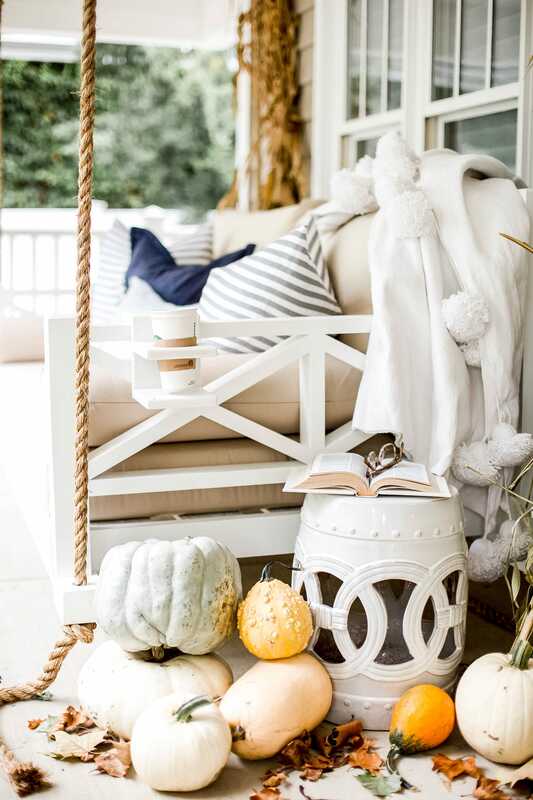 We were dreaming of a porch swing all summer and were honored to partner with Four Oak Bed Swings. You might have caught the sneak peek of it on my Instastories but I’m so happy to share our swing is installed and being used everyday. 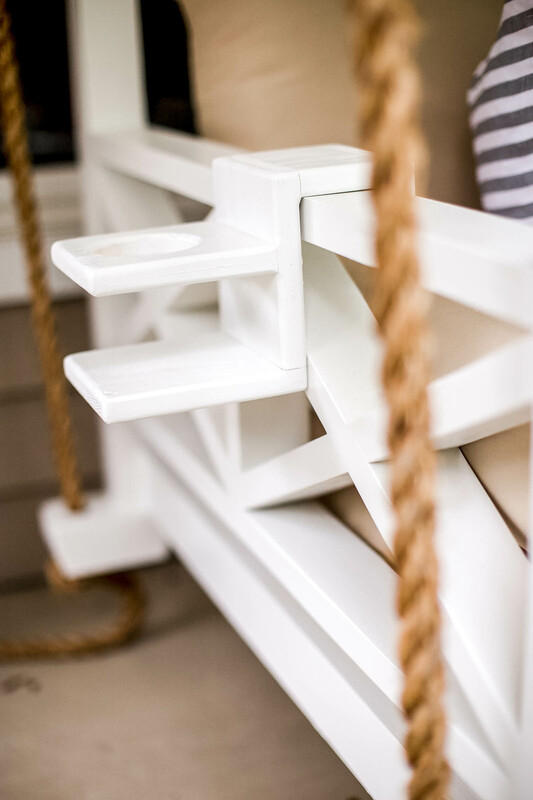 We went with the Westhaven Bed Swing in Twin size color pure white. 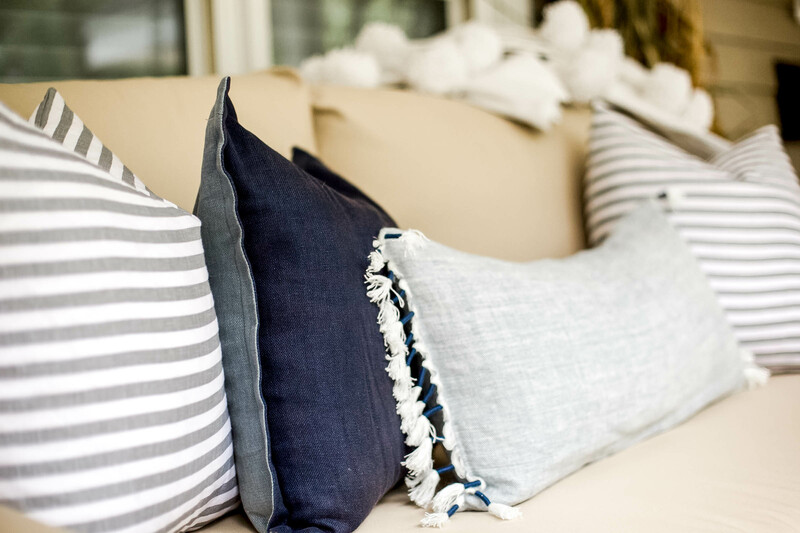 The cushions and bolsters are made with durable Sunbrella fabric which is a lifesaver with little ones. Our contractor was able to easily install it using their EZ-adjust hanging kit. 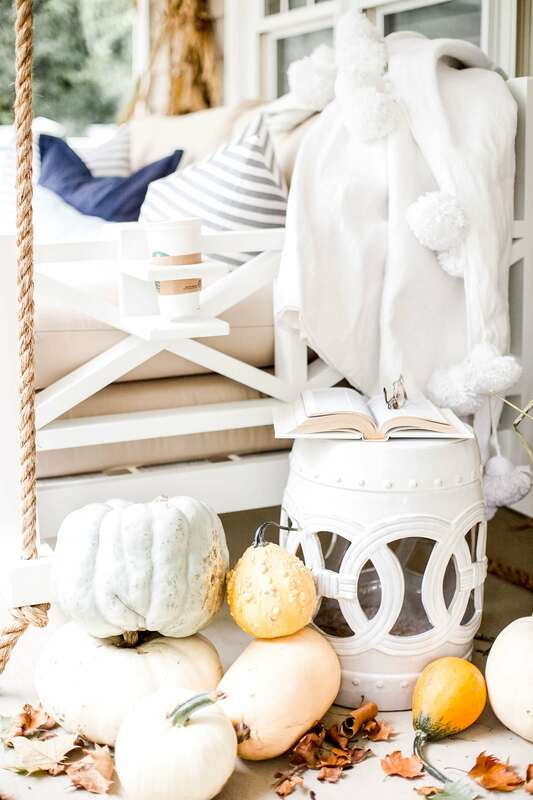 The swing can be hung by elevating it on 5-gallon buckets. 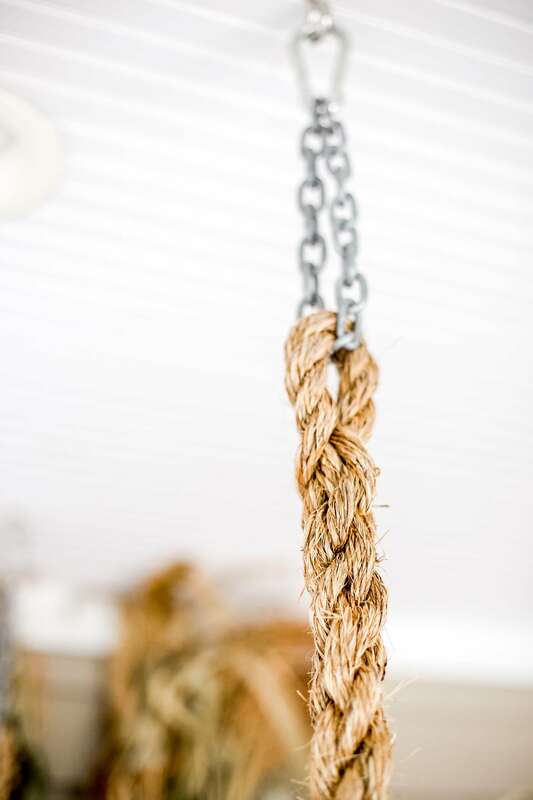 The kit allows the swing to be hung in such a way that ropes do not rub the side of the daybed when you are swinging. Four Oak Bed Swings thought of everything and even made custom drink holders for either side of the swing. We’ve been cozying up on ours and snuggling up with a blanket at night. 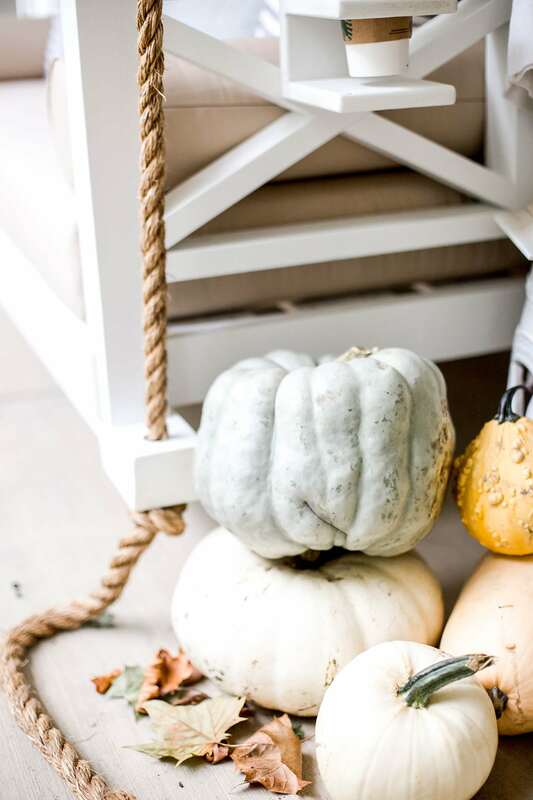 Now is a great time to still outfit your porch. I’ve shared a few swing ideas below as well.